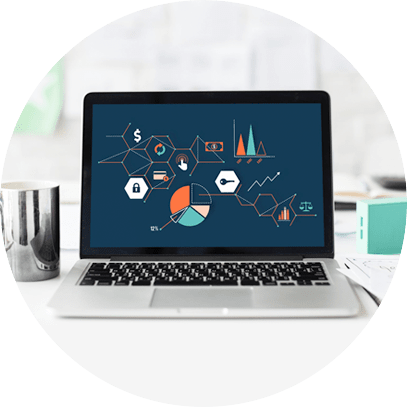 Our business intelligence solutions leverage the latest software and technologies to provide you with valuable business insights and analytics in real time from a single dashboard, allowing you to make more informed business decisions. We can provide client-specific business intelligence to industries like retail, banking / finance, healthcare, logistics, finance, and more. Our Philadelphia business intelligence experts have years of experience providing enterprise business intelligence services to clients. Get in touch with us today to learn how our BI solutions and insights can empower your organization to make more intelligent, informed business decisions. We work with you to understand your unique needs and recommend the tools and features that would work best for your organization. Our experts use leading edge tools to integrate data without duplication while eliminating silos. We can also seamlessly migrate data and securely store your data in a way that is optimized for easy data retrieval and storage of important historical data. With our data visualization solutions, you are provided valuable, real-time insights into consumer trends with multifaceted data analyses. These analytics empower your organization to quickly respond to shifting market demands, make better (more accurate) decisions, and enhance productivity. We are committed to providing support and answering questions to help you get the most from your investment.